Hot on the heels of Forza Horizon 3 winning the Best Racing/Sports award at the 2016 Game Awards, today we’re unveiling our latest car pack – the Logitech G Car Pack, which features seven amazing vehicles hand-picked to deliver driving delights during the holidays. Leading off the pack is the Bentley EXP 10 Speed 6 Concept. Sure, it might not be drivable in the real world yet, but it’s easy to appreciate this car’s beautiful melding of performance and luxury in Forza Horizon 3. The remaining roster in the Logitech G Car Pack is deep in unique driving experiences. 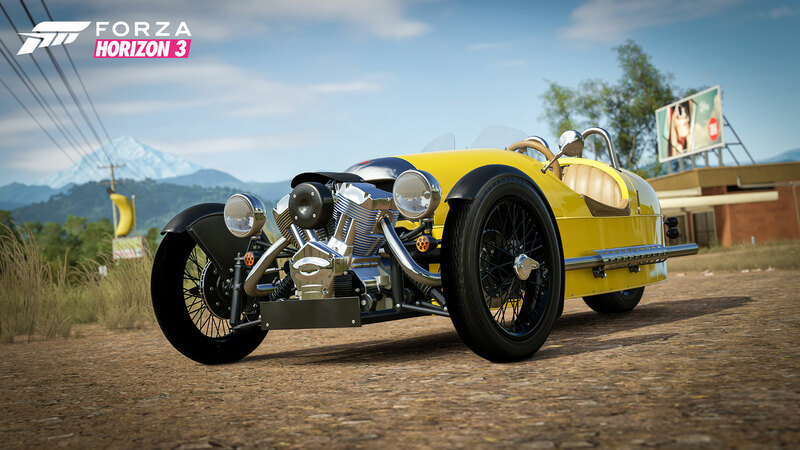 The Morgan 3 Wheeler makes its Forza debut, with its unique design making it a highly requested car from fans all over the world. The Morgan is paired with early-American muscle in the 1965 Pontiac GTO and long-awaited imports like the 1992 Toyota Supra. There’s also Jaguar’s SUV debut and the latest speedster from Mercedes-AMG, alongside an Australian rarity in the 1996 HSV GTSR. 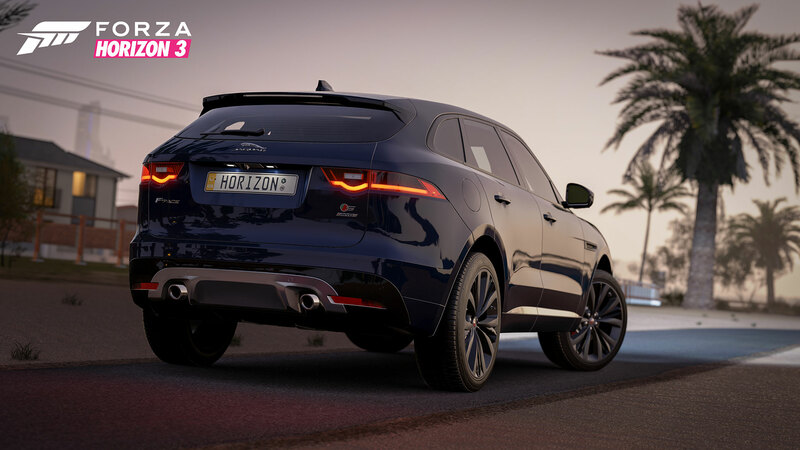 The Logitech G Car Pack is included as part of the Forza Horizon 3 Car Pass, which is available as a separate purchase or as part of the Ultimate Edition of Forza Horizon 3. 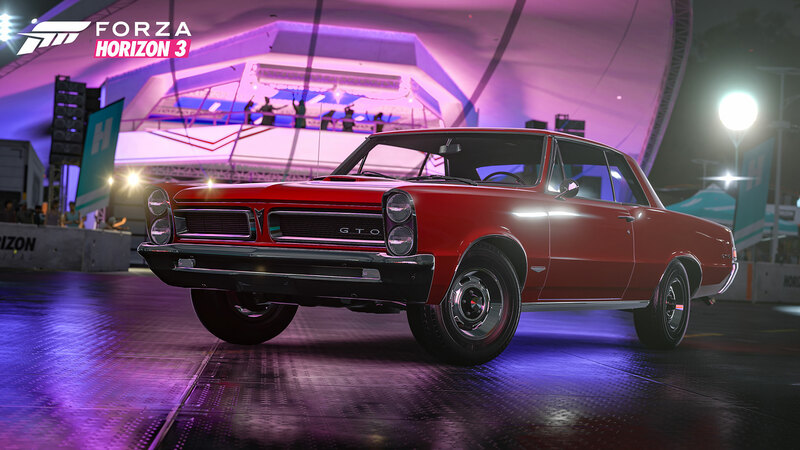 Players can also get the car pack as a standalone purchase for $6.99 in the Xbox Store. Don’t forget that we are one week away from the launch of the Blizzard Mountain expansion for Forza Horizon 3, which releases on December 13! With extreme elevations, snow, ice, and blizzard conditions, and a brand new roster of amazing vehicles to drive, Blizzard Mountain promises to be a frozen adventure unlike anything you’ve seen in Forza before. 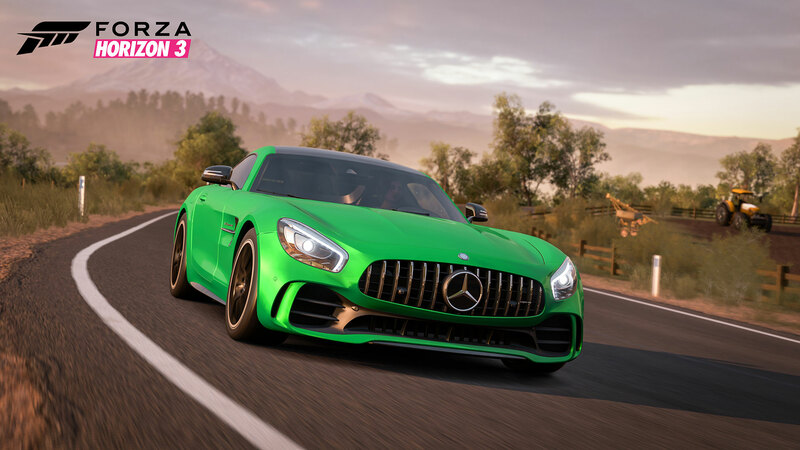 You can get Blizzard Mountain as a standalone purchase of $19.99 or enjoy a discount on the expansion by purchasing the Forza Horizon 3 Expansion Pass, which gives players discounted access to two expansions for $34.99. Ultimate Edition owners can receive an additional $10 discount on the expansion pass if purchased before the end of 2016. Get both expansions for $24.99. 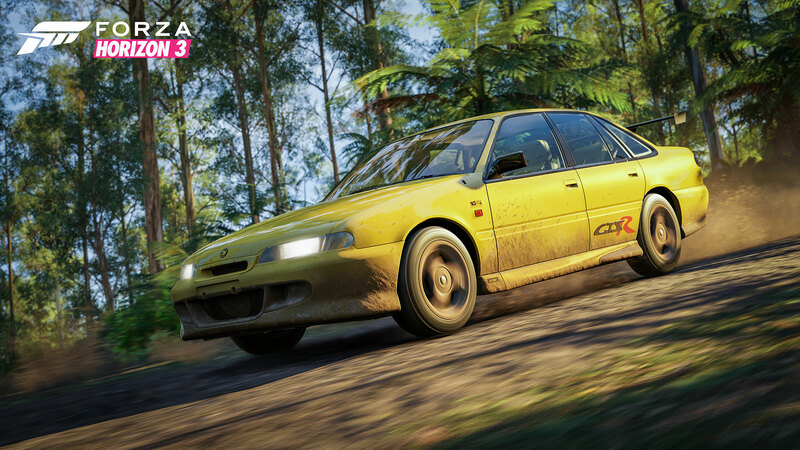 Here’s another chance for Forza players to drive something that doesn’t yet exist in the real world. When Bentley revealed the unexpected EXP 10 Speed 6 Concept at the Geneva Auto Show in 2015 it was welcomed with exuberance. The name comes from Bentley’s six-cylinder Speed 6 of the 1920s. 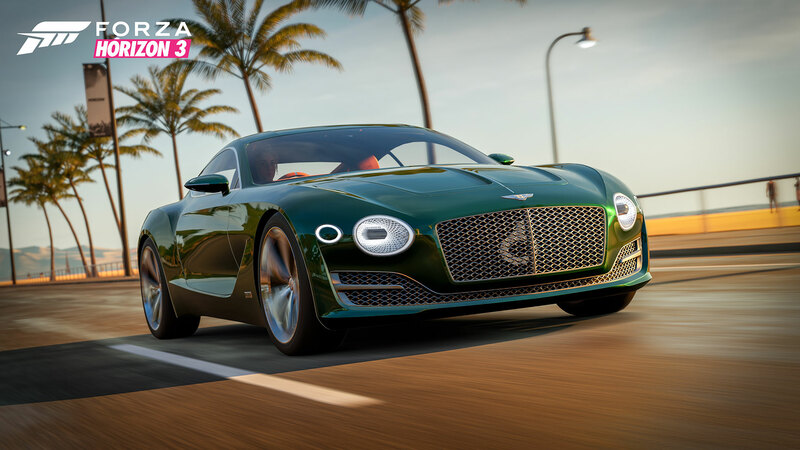 In this modern day concept version, performance and comfort are paramount in making what is essentially a lighter and sportier grand tourer than the formidable Continental GT. So, let your eyes take in its opulent beauty, then take a seat and put your foot into it to feel the thrill of this unique and luxurious driving experience. The Morgan 3 Wheeler may be an automotive eccentricity, but it’s a much loved and respected one. The car has driving characteristics like nothing else because there is nothing else like it. Powered by an S&S V-Twin engine mounted transversely at the front of the vehicle, it provides an audio and visual wonder – both to witness and to drive. The 2014 version of the Morgan 3 Wheeler harkens to its original form that dates all the way back to 1911, but with all the amenities of this century. When General Motors management banned the company from auto racing involvement, John DeLorean, Bill Collins, and Russ Gee conceived the GTO. Since they couldn’t go racing, the trio focused on street performance to appeal to youthful speed-hungry buyers. The GTO name was borrowed from the world renowned Ferrari 250 GTO, much to the dismay of the tifosi. The American car-buying public wasn’t bothered in the least by the GTO moniker. In fact, it likely contributed to the attitude that defined the car. With performance that was astounding for its time, you could rule the streets in a GTO. While it may seem odd for Jaguar to be entering the SUV market, it is completely natural given the trend that Porsche started with the Cayenne years ago. The F-PACE S is more targeted to the mid- to compact crossover SUV market with an upscale look and feel. When you think Jaguar, you know that the standard is high in everything – from the top-notch interior to the way the exhaust burbles and rasps. The F-PACE S is everything you would expect from Jaguar, even if you didn’t expect an SUV. From its Victorian taxicab yellow to its limited run (only 85 models were ever produced), the GTSR is an HSV oddity. This GTSR is really a mockup of a race car that never existed, but where it fails in legitimate racing heritage it makes up for in glam. The specially-built V8 under the hood makes freight train-like power from idle to redline. This is one Aussie rarity that you may not have known how much you would appreciate until you get behind the wheel. In other words, hop in and hang on. The Mk3 Supra marked a departure from its Celica sibling model in 1986. Whereas the Celica became a front-wheel-drive sports car, the Supra retained the rear-wheel-drive of its heritage that goes back all the way to the 2000GT. This luxury sport tourer holds a special place in the hearts of import lovers, and for good reason. We’ll be streaming the Logitech G Car Pack for Forza Horizon 3 today beginning around 10 a.m. Pacific (as soon as the pack launches). Join in the high-speed fun over at the official Forza Beam and Twitch channels. See you there!